Surrender your self control and kiss your diets goodbye when you dine in Grand Case on the Caribbean island of Saint Martin. 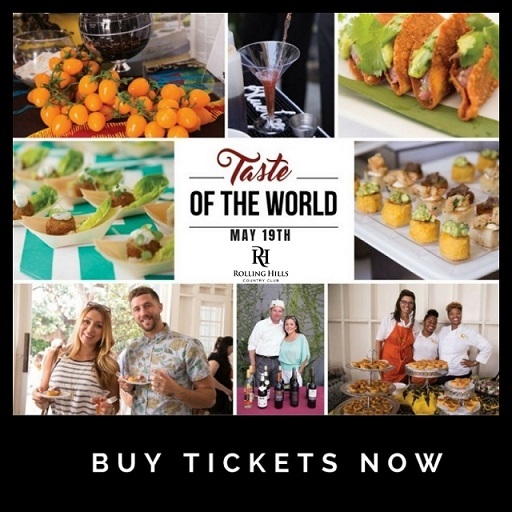 Situated on the northern coast of the French side of the island; Grand Case has a well earned reputation for being the Gourmet Capital of the Caribbean. 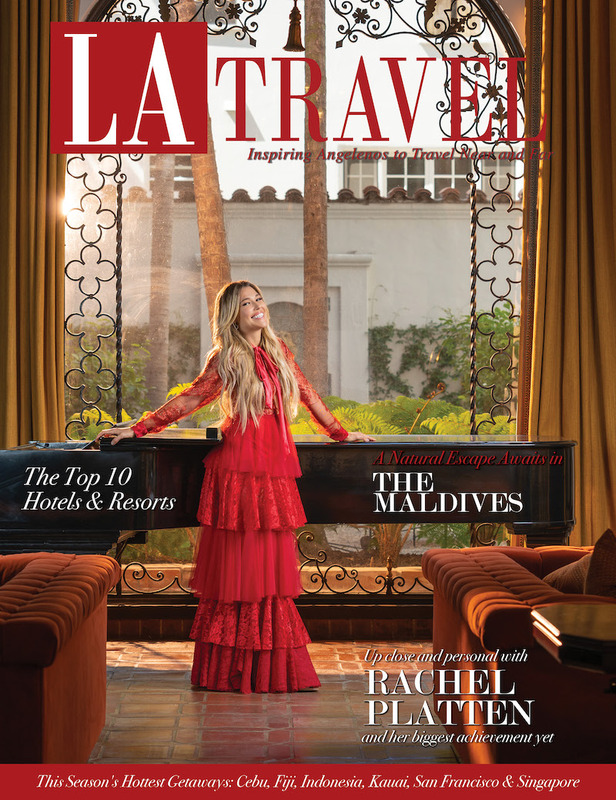 Boasting crystal clear waters and sugar-white sand beaches, the little village of Grand Case has an astounding number of gourmet restaurants sure to please even the most discerning palettes. 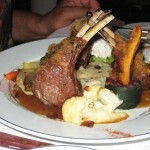 While I have dined at many restaurants here, my personal favorite is L’Auberge Gourmande. 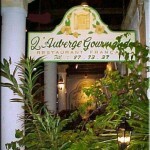 In the center of Grand Case’s “restaurant row”, you will find L’Auberge Gourmande in a charming old Creole house. 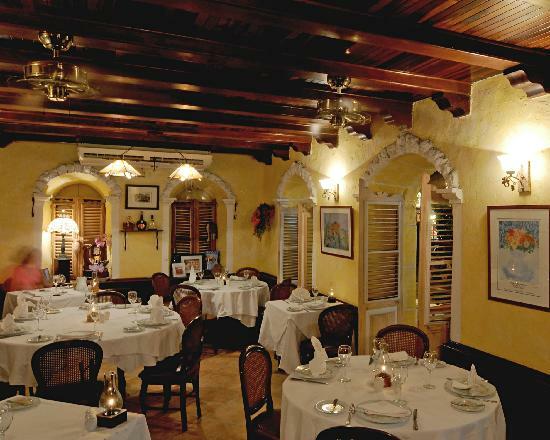 Serving the finest in French cuisine and wines, this award winning establishment is one of the most popular on the island. On a balmy August evening, we arrive at L’Auberge Gourmande and are seated at an intimate table on the terrace. It is charming here and rather European in flavor. Our table looks out onto the little cobbled street and we watch the people strolling by as they enjoy a carefree evening. Potted magenta geraniums and swaying palm trees border our table, setting a tropical ambiance. A peek into the interior of the restaurant tells reveals a warm and welcoming space featuring vintage stone and wood, with little private alcoves strategically situated for romantic rendezvous. Our waiter is friendly and knowledgeable in food and wine pairings, and he helps us decide on a wine from the well stocked cellar. As the first glass of 2008 Ch. De Marsannay Pinot Noir is poured, my eyes rove over the menu with indecision. With so many delectable choices, how will I ever choose? First things first – the appetizer. Many of the appetizers reflect the restaurant’s traditional French heritage: Burgundian Escargot with Garlic Butter, Frog Legs cooked in Parsley Butter Sauce with Sweet Potatoes and Foie Gras sautéed with CaramelizedPears in a Sauterne Wine Reduction Sauce. We decide on French Onion Soup topped with Grilled Emmental Cheese on Toast (yes, the weather is warm to be ordering soup but we just can’t resist L’Auberge Gourmande’s version of this classic treat), and Sea Scallops grilled in Soy and Sesame Oil, served with a crunchy Rice Cake and Marinated Ginger. Fabulous. Next came our beautiful entrees, prepared to perfection and the image of elegance. My sweetheart said that his Roasted Rack of Lamb rubbed in a Garlic Herb Paste, served with Shallot and Roasted Garlic Sauce and Olive Mashed Potatoes was the best he’s had anywhere in the world. After vacillating over the sautéed Chilean Sea Bass Filet and Shrimp, served with Coconut Sauce on a bed of Sweet Potatoes I finally chose a Pork Filet Mignon stuffed with Walnuts and Apricots served on a bed of Mashed Potatoes with a Crushed Black Pepper and Red Wine Sauce. I hit the jackpot with this entrée – absolutely sublime! We lingered over dinner and wine, and as the evening waned we started to think about wandering down the little street to our hotel, but then the dessert menu was delivered to the table and we allowed ourselves to be tempted. The perfect ending to our meal was the absolutely superb “No way around it” – a concerto of White Chocolate Mousse, warm Baked Fondant, and Iced Dark Chocolate drizzled with Hibiscus Coulis Sauce. Merci beaucoup to our friends at L’Auberge Gourmande, for a memorable evening!